For the past decade, SkateFest has been a source of excitement and opportunity for many young skateboarders and their families throughout Northern Virginia. The Callahan family initially began SkateFest in 2007 to give back to Children’s National Hospital, who gave our eldest son Patrick incredible medical care from birth to age 19. As the owners of the Fairfax Surf Shop, we worked with Wakefield Skate Park, parents, hundreds of sponsors, and countless volunteers to build this wonderful skateboarding charity event. SkateFest has grown to an enormous size, and it all began as a way to thank Children’s Hospital. Over time, all those involved in SkateFest have managed to bring about an event that not only gives young skateboarders the chance to compete for prizes, but lets them give back to their community as well. For ten years, SkateFest has been a day of reunion and comradery, where parents support their children, and friends encourage each other as they compete—all in an uplifting way. It has been a joy for me to see these families, their children, and the friendships of skateboarders grow in more ways than one. Though SkateFest has been a source of much giving and happiness throughout the last ten years, the planning and logistics of this event have caused my family to sacrifice much time away from each other. As a family of fourteen children and now three grandchildren, we have spent the months April-July, every spring and summer preparing and operating this event, and though many were always willing to help lessen the burden, it has taken a toll on us at last. It is with a hopeful sigh that I put SkateFest on hold this year. This summer will be a year of rest and reflection for those of us who have worked hard making this event possible; it will be a chance for our family to spend some time together at home as our youngest six children have never lived a summer without working SkateFest, two of our daughters will be off to college, and our oldest daughter will be visiting from Germany. In the future, we wish to resume SkateFest once again and make it stronger than ever, but first we wish to rest and reflect on these fruitful ten years that have past. I wish to express my sincere thanks to all those who have made SkateFest possible by giving their time and effort these last ten years. In a few final words, I would like to share that my youngest daughter, Bridget recently spent three days sick in Children’s National Hospital. 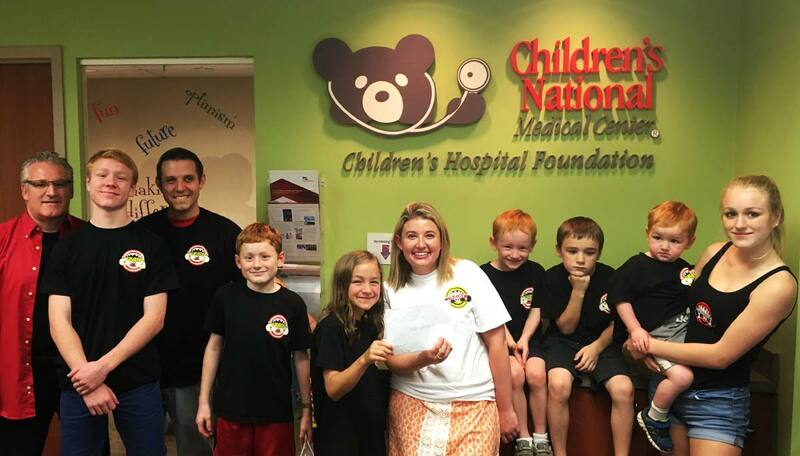 This reminded our family of the dedicated work of those at Children’s National and how it would be great to continue the donations for this eleventh summer. The Callahan Family and Fairfax Surf Shop will be donating and hopefully you will find it in your hearts to donate too. Please see the link below for those who wish to contribute.